welp, the chi city vegan has returned to new york city! and i visited a whole bunch of new (!!!) restaurants. first up, bareburger, a "micro-chain" of burger joints in nyc. we wandered over to one of the astoria, queens locations. here's a bit abut them, per the bareburger website : "bareburger restaurants offer mouth-watering organic burgers & sandwiches, fresh salads, delicious shakes & sharable snacks in environmentally sustainable, eco-friendly locations. our belief is that organic food tastes better & is better for you & that sourcing our ingredients locally benefits our communities. Our menu features a variety of meats .... and mushroom, veggie & black bean burgers for our vegetarian & vegan guests." all vegan items on their menu are clearly labeled. they also offer gluten-free items & indicate which contain nuts. oh so lovely. sauteed w/ garlic & olive oil. 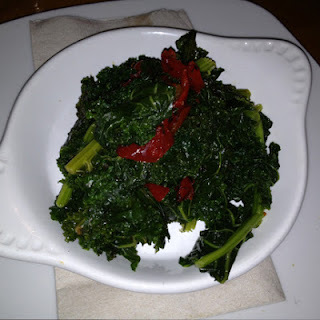 i actually eat kale about 5 days per week. so when i saw this special, we decided to give it a try. obviously i loved it. a little stem-y (i remove those when cooking kale at home), but the flavor was all there. black bean burger, vegan cheddar cheese, iceberg lettuce, tomatoes, raw red onions & cilantro-lime dressing on a multi-grain roll. now is this a vegan burger or is this a vegan burger? holy moly amazingness. i'm not one to really "crave" foods like this from my meat-eating past. but if i do, it's more in the nostalgic sense ... summer bbqs & the such. so i was super excited to dig into this baby. did not disappoint. completely & utterly delicious. 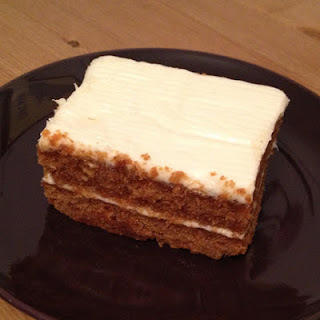 i'm not one to pass on a vegan dessert ... i've had my fair share of vegan carrot cake. and this one hit the spot for a little sweetness after my mondo-burger. 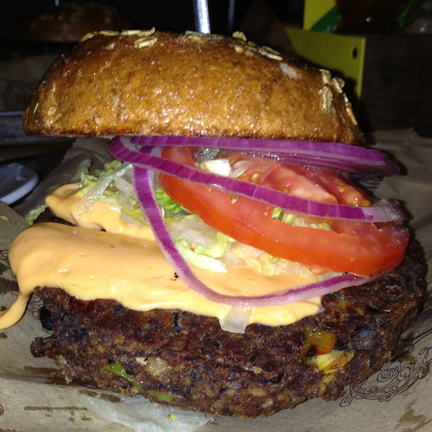 since there are locations all throughout new york city, i'd say bareburger is a must try. great for a quick lunch or dinner. two bear paw thumbs up. You must be a transplant. Very few ACTUAL Chicagoans are vegan and NO actual Chicagoans say "Chi-City." actually, i've lived in chicago ALL my life! born & raised. and in my opinion (and since it's my blog, that's what counts! ), chi city is a cheeky name for chicago, made popular by two chicago rappers (kanye & common).